EARN A $10 AMAZON.COM GIFT CARD FOR NEW BUSINESS! SSIU is turning SIX! 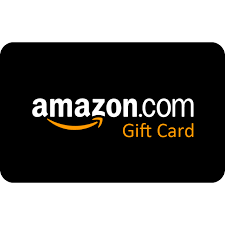 As a way to say THANK YOU for 6 great years, SSIU will send Producers a $10 Amazon.com gift card for each new business policy bound effective February 1st to April 30th 2019. Just our way of saying thanks for being a great retail partner. Digital gift cards will be distributed on a monthly bases via email to the writing producer. Applicable to new business only and on policies paid in full. Policies cancelled within 30 days of effective date will not be eligible for gift card promotion. CANOPIUS COMPLETES MANAGEMENT BUYOUT AND REBRANDS – AS CANOPIUS! Canopius announced today it has completed their management buyout and are officially an independent entity with private equity backing. The buyout comes with a “new old” name as Canopius US Insurance Inc and new branding. What this means for our retail partners is simple – you’ll see a new name and new logo on quotes and policies, but no other changes will affect agents directly. This buyout is a positive for us an MGA in that this new management team is hyper-focused on providing us with the best in specialty (re)insurance products and service. To learn more about the buyout, click here to read the press release. Congress must periodically renew the NFIP’s statutory authority to operate. On January 22, 2018, the President signed legislation passed by both houses of Congress that extends the National Flood Insurance Program’s (NFIP’s) authorization to 11:59 pm on February 8, 2018. The legislation also authorized FEMA to honor all policy-related transactions inadvertently accepted between January 20, 2018, and January 22, 2018.Congress must now reauthorize the NFIP by no later than 11:59 pm on February 8, 2018.FEMA and Congress have never failed to honor the flood insurance contracts in place with NFIP policyholders. In the unlikely event the NFIP’s authorization lapses, FEMA would still have authority to ensure the payment of valid claims with available funds. However, FEMA would stop selling and renewing policies for millions of properties in communities across the nation. Nationwide, the National Association of Realtors estimates that a lapse might impact approximately 40,000 home sale closings per month.As affected communities recover from the devastating impacts of the 2017 hurricanes, a timely, multi-year reauthorization is critical for insured survivors and businesses. Policyholders need confidence not only that FEMA can pay flood insurance claims, but also that the NFIP will be able to sell and renew policies to help them protect against future flooding. Flood insurance – whether purchased from the NFIP or through private carriers – is the best way for Americans to financially protect themselves from losses caused by floods. You may notice some changes to the Canopius name and logo in the new year. Sompo Canopius was sold to Centerbridge Partners as part of a management buyout. As is often the case in these instances, AM Best will wish to review in greater detail the financial and functional support that remains in place for Canopius US Insurance Inc following the change in ownership. Sompo Canopius is the 9th largest syndicate in Lloyd’s and supplies CUSI with a number of support functions, all of which will remain in place. The group’s strategy is for CUSI to grow its current premium base over the coming years. In addition, Centerbridge has more than $29B in assets under management, giving CUSI hugely secure financial backing. The leadership at CUSI looks forward to engaging with AM Best over the coming months as they move towards the change in ownership. SSIU is proud to partner with CUSI and compliments the level of consistency and professionalism that the company shows year over year.